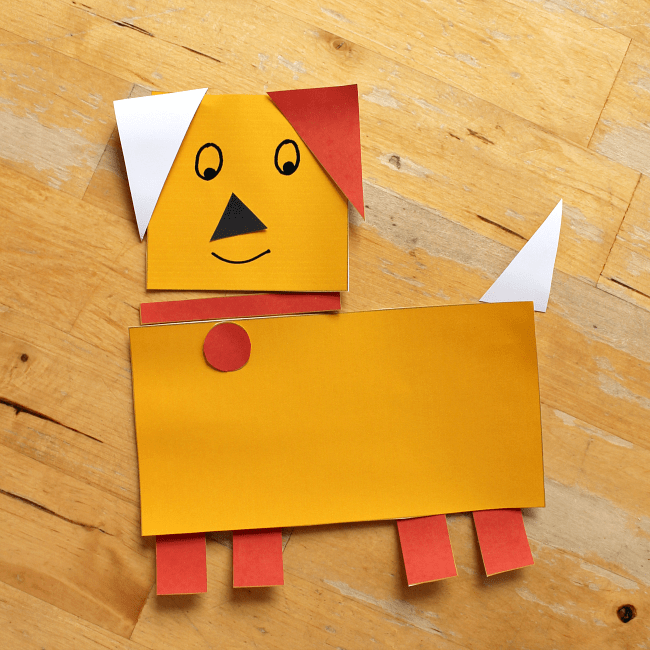 In this fun, hands-on math activity children are invited to explore shapes, rotation, symmetry, size, orientation, colour, characterisation, abstract and representational art – all while having fun creating a super cute pooch! 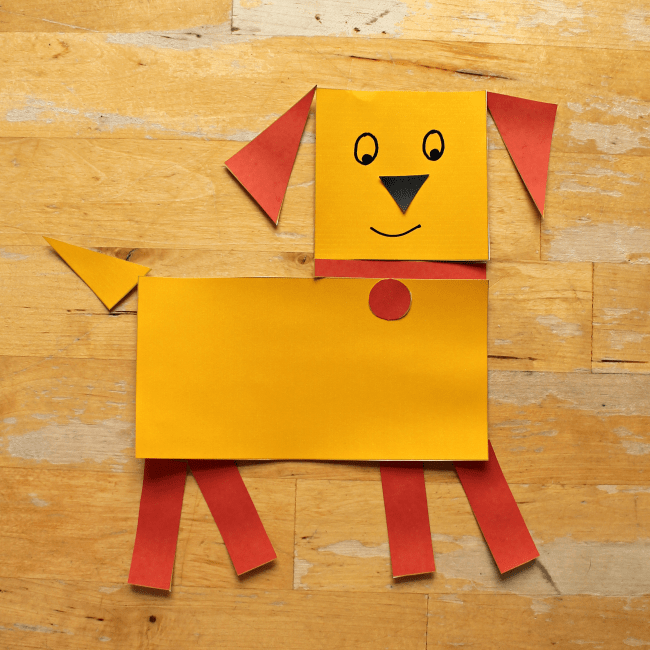 This shape activity pairs well with lessons about the Chinese New Year, but of course you can use it at any time, to explore shapes and as part of an animal topic. This activity combines maths and art. When we work across the curriculum in this way it allows us to go broader and deeper with our learning. We get to make connections. Our understanding is more relevant and our learning is longer-lasting. An art-meets-math combination invites all children to join in, whether they consider themselves artists or love numbers. The Chinese New Year, which is also known as the lunar new year or spring festival, will take place on February 16th in 2018. Each year of the lunar years cycle is paired with one of twelve zodiac animals: either Rat, Ox, Tiger, Rabbit, Dragon, Snake, Horse, Goat, Monkey, Rooster, Dog or Pig. In 2018 we will see the start of a Year of the Dog, represented by the Chinese symbol 戌. People born in a dog year are thought to have a personality similar to a dog: friendly, kind, loyal, honest, straightforward, and smart. Were you born in a year of the dog? You can find out here. :: talk about what the children know about dogs. What do dogs look like? What breeds of dog do they know? What words would they use to describe a dog? :: have a look at the shapes you have. What are they all called? How are the similar and different to one another? Which ones could you put together to create a dog? Have a look at my other Chinese New Year activities and try some of them with your children. Try another art and math combination with my Art of Circles resources. Investigate more dogs: go for a walk and see which dogs you can spot in your neighbourhood; borrow a dog and take one for a walk; research different breeds in a reference book; draw a realistic sketch of a dog to contrast with your abstract shape version. 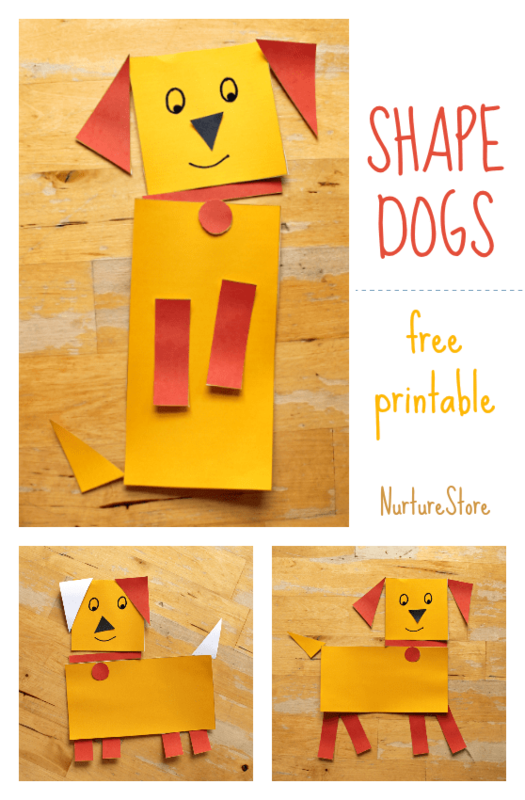 Try creating other animals from your shapes cards – what could you make? Thank you so much. 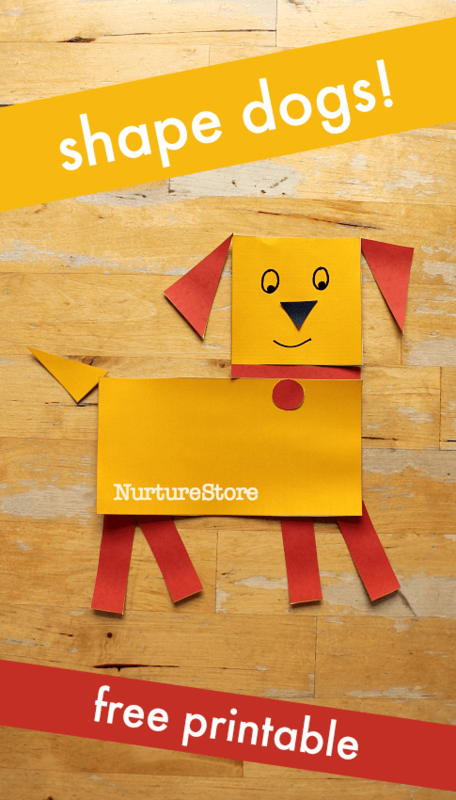 I incorporate your ideas in my activity classes with my kids and they are a hit. Thanks again. That’s great to hear – thanks Komal!